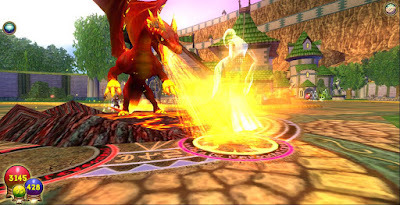 I was in Dragonspyre, I had just learned dragon but as we wizard101 players know when you learn all the spells up to dragonspyre you get a master of (blank) badge. So I was confused because I thought I had learned all the spells. So I sent an e-mail to support asking why I hadn't gotten it, turns out I hadn't learned Fire Shield from Sabrina Greenstar which is in the Fairegrounds in the Commons. Probably one of the proudest wiz moments of my life. Its all true by the way.